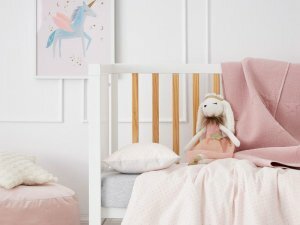 Decorating your baby’s nursery is one of the most enjoyable moments a parent can experience. But let’s be real; you gotta have a budget in mind, and you gotta know what to cut back on. 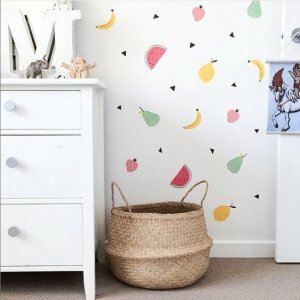 So here it is: The items we recommend you try to get on the cheap when you’re putting your little one’s room together. We tend not to recommend expensive rugs for nurseries for one reason: It’s likely to get covered in one or all of the three P’s (you know what they are!). Mess is inevitably going to come from your bubba, so you want a rug you don’t have to fuss over. Something soft and smooth to the touch, of course, but not something you’ll shed a tear over when you drop the nappy. The artworks available for nurseries are so adorable, and the good news is that you don’t have to go designer. Why? Because your baby doesn’t know the difference between a $50 artwork and a $500 one. So why spend a tonne on something like this, especially if it’ll date in a few years? 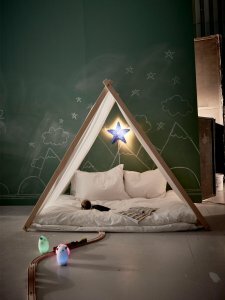 We like kids rooms to be kids rooms, and always steer towards kitsch over chic in these spaces. There are so many places online to get amazing and affordable kids prints and paintings from. Etsy is our go-to. There’s no need to install a chandelier in your baby’s room. They are not a resident of Buckingham Palace, nor do they care for lavish, designer pendants. As with artworks, we like a light that feels childlike and playful. 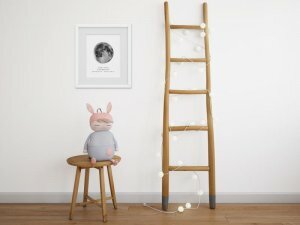 Considering a baby’s room is going to be dark and restful a lot of the time, opt for a cute lamp that’ll cast a soft glow in the space. Your wallet will thank you for it, too. 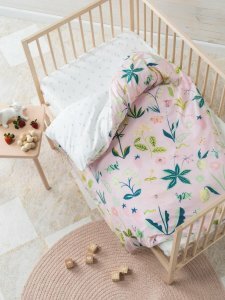 You’re going to collect a lot of stuff for your little one leading up to the birth, but even more once they arrive. Sure, you’ll need furniture like drawers and cupboards to store loads of it, but you’ll also require smaller storage solutions to hold things like blankets and toys. This is where cheap-as-chips belly baskets come into play. The collapsible woven baskets can be found in heaps of homewares stores, and come in wool and felt varieties. One thing we’ve discovered about toys: The cheaper the toy, the more the kid loves it! Select a few key plush toys for their space, and then keep everything else cheap and cheerful (or better still, let your friends and family buy them the more expensive stuff! ).